Store Attribute Databases have been around for many years and have proven to be a powerful tool in helping retail teams plan and deploy everything from in-store marketing programs to new planograms. The value of this type of store profile management system is clear; when executed correctly, it provides an accurate picture of the variable assets that exist to support visual and product merchandising across a network of stores. In this post we’ll discuss the challenges retail teams face in creating and maintaining a retail attribute database. We’ll outline how new mobile and cloud-based technologies can overcome these obstacles to provide invaluable planning, collaboration and execution tools. We’ll also look at how linking Store Attribute Databases to store plans in CAD files can play a meaningful part in streamlining merchandising refresh cycles. In the context of planogram development and deployment, Store Attribute Databases facilitate store attribute-based merchandising planning. This provides retail and CPG teams critical insight into what version of a POG can be supported and how those details might impact the next generation of merchandising. This additional level of visibility to attributes and placement also allows Assortment Planners and Category Managers to assess adjacencies and flow. In many cases it can provide insight into conditions that drive Merchandising Compliance (i.e. obstacles and variable fixture specs). For Program Managers of in-store marketing campaigns, it validates the conditions that allow kits to be tailored to a specific store. Whether planogram or visual merchandising focused, the additional level of visibility Store Profiles afford, is crucial to localizing an offer. Uneven levels of Accuracy – The initial capture of attributes across a network of stores using teams with varying levels of experience creates the potential for uneven results. Lack of Capture Structure and Context – Previous capture methods typically involved paper-based, email or XL documents which are unstructured and don’t lend themselves to linking data with specific locations within a store or giving photos context. Keeping Data Fresh – As store conditions change the data becomes outdated and less reliable. Today, these challenges are largely diminished or eliminated with the right mobile app complimented with a well-structured capture methodology and a flexible, cloud-based reporting interface. 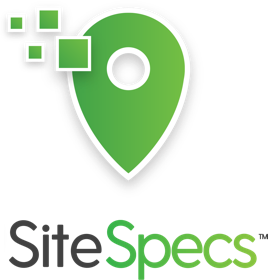 It all starts with the ability to collect field information in a digitized manner; using a mobile app like Site-Specs™ provides a convenient means of engaging field teams using their own devices. The success of collecting store attributes hinges on how consistently data is collected across a network of stores. The right mobile tool, structured to bring consistency to field data capture is critical. A well-considered mobile interface that is designed to guide the surveyor through a specific order of events, with integrated photo reference examples, increases data integrity significantly. The ability to link captured photos to specific results provides powerful contextual information. In addition to consistent capture, a mobile app makes it easy for retail teams to keep Store Attribute Databases up to date through a simple redeployment of part or all of a store attribute survey. This function transforms the database from a static profile to a dynamic store profile. As with any effort of this type, be sure to clearly define the project criteria with scope and set priorities in order to determine the order of events in the capture process. Too often store attribute surveys lose focus because of competing interests. This is where aligning yourself with the right partner can make all the difference. The right team helps keep the focus on what needs to be captured and more importantly how to optimize reporting for each user group. An important consideration in any Store Attribute Database is a reporting structure that meets the needs of cross-functional teams. The right reporting platform delivers an easy to navigate store attribute profile (fixture & site details, area analysis, section counts, sign hardware etc.) combined with a planogram placement details including visibility to adjacencies. Look for a cloud-reporting platform that allows the information / photos to be organized, filtered, sorted and analyzed extensively. Once the mobile capture model is in place, periodic updates are easily deployed; making certain the Attribute Database is always reflecting real world conditions. 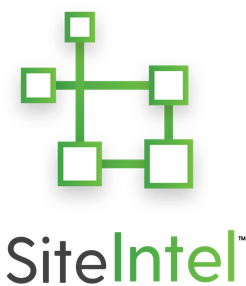 Another opportunity to enhance a Store Attribute Databases is available through unique applications like those offered by Site-Intel™ / CADx, a cloud-based application that dynamically extracts data from AutoCAD files. This allows users to unlock store attribute information maintained in AutoCAD store plans, merge it dynamically with data collected in the field and make it available to any login user. As changes are made in the CAD file those updates are automatically reflected in the Store Attribute Database. In a similar manner, data captured in retail attribute audits can be rolled up with layout details in the CAD plans. Add the ability to consolidate data from a wide range of other business applications (SAP, JDA, Access etc.) on an easily accessible platform, and you have a powerful tool that accelerates merchandising refresh cycles dramatically. Mobile and Cloud-based systems combined with in-depth expertise holds tremendous promise unlocking new levels of value and productivity in a wide range of merchandising disciplines. To discover more on this topic, speak with our experts directly!